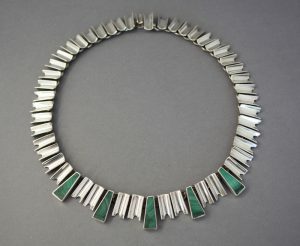 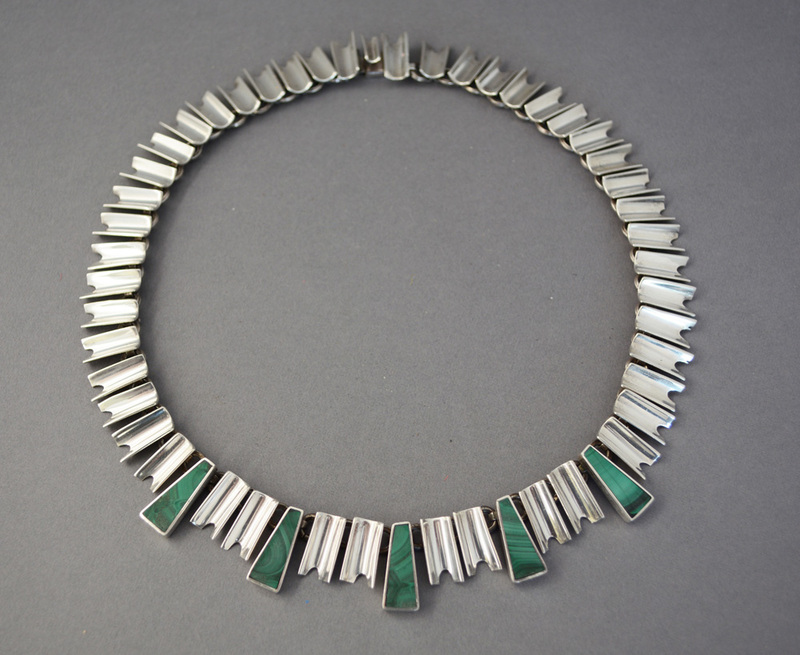 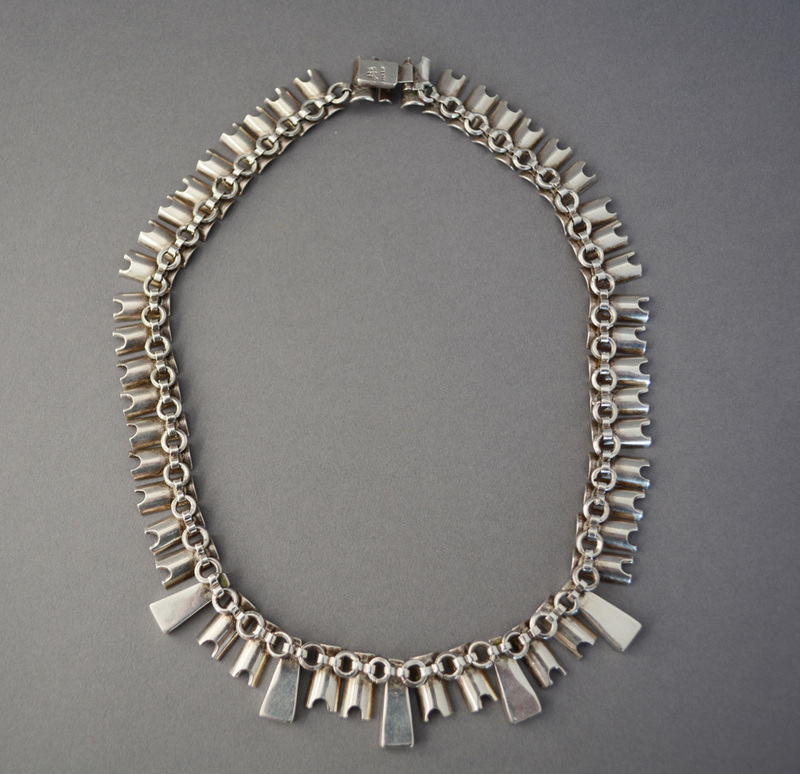 Taxco sterling necklace with a strong Art Deco influence. 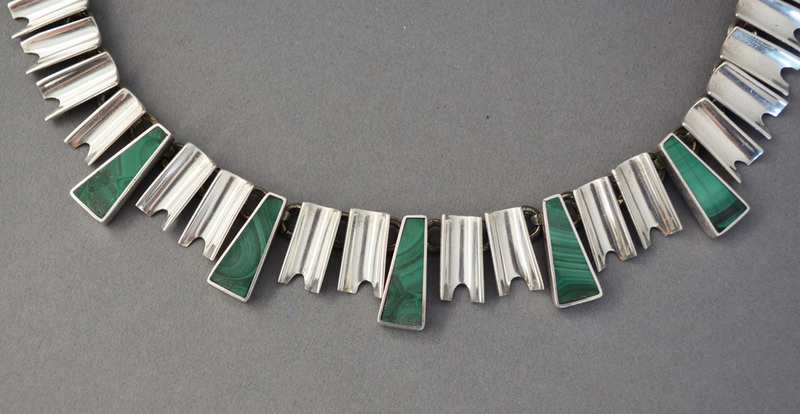 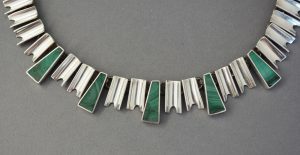 This has five elongated trapezoids inset with malachite. 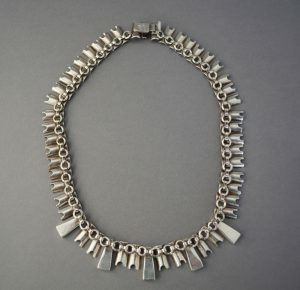 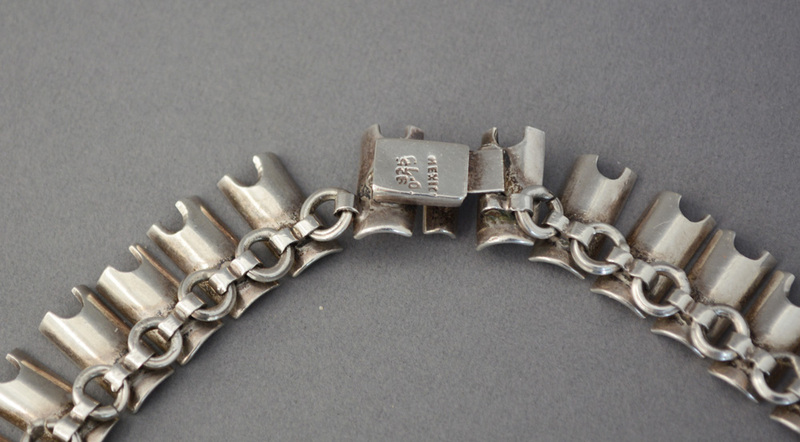 The necklace is 18.5″.